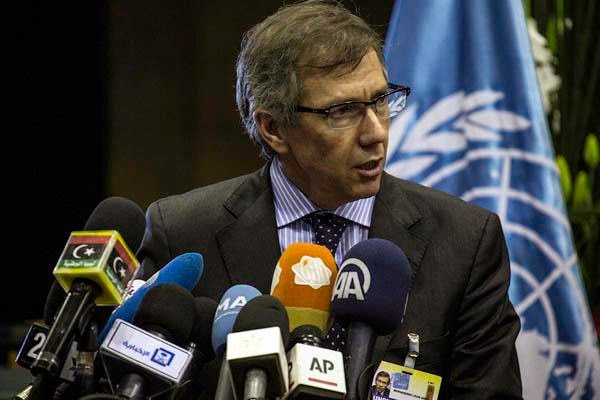 UN 13 March 2015 – Meetings in Morocco arranged by the United Nations that brought together participants in the Libyan political dialogue have concluded today, having covered substantive and procedural issues on the way forward. The UN Support Mission in Libya (UNSMIL) has proposed resuming the political dialogue next Thursday, 19 March, in Morocco, with the time between to allow for more consultations and further work on the draft documents that were presented in the earlier discussions. In Morocco, participants renewed their commitment to the dialogue as the sole mechanism for the resolution of political differences and noted the need to work quickly to reach agreement to draw Libya out of its crisis and bring peace and stability. He said the Mission looked forward to active engagement from all participants during the upcoming sessions and urged them to seize the momentum generated by the dialogue held from 5 to 7 March, build on the progress made and not waste the opportunity the talks provide to bring peace to their country. UNSMIL and the participants in the dialogue also emphasised the importance of other tracks in support of the main dialogue track.